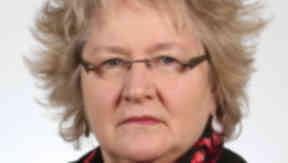 Election 2010: Incumbent Labour MP Anne McGuire retains her Stirling seat. Ms McGuire is married with two children. She was born in Glasgow, and attended St Francis Secondary School and the University of Glasgow, where she gained a MA in Politics and History. She also gained a Diploma in Secondary Education. She served as Deputy Director of the Scottish Council for Voluntary Organisaetions until she was elected to Westminster in 1997. She was a Parliamentary Private Secretary to the Secretary of State for Scotland from 1997 to 1998 and an Assistant Government Whip in 1998. Ms McGuire was appointed a Lord Commissioner to the Treasury in 2001. In 2002, Anne became Parliamentary Under Secretary at The Scotland Office. From the 2005 General Election until Oct 2008, Anne was Minister for Disabled People at the Department for Work and Pensions. She is currently working on a non-ministerial special project supported from within the Cabinet Office, on the voluntary sector and government.